ThirtyFifty is a WSET Approved Programme Provider (APP), certified to offer the WSET Level 2 qualification as part of the UK's Qualifications and Credits Framework, regulated by Ofqual. The WSET Level 2 Award in Wines and Spirits is run as a 3 day course on 3 consecutive Mondays or Saturdays with the flexibility to swap between Mondays and Saturdays if you need to. The course is centrally located in London's Covent Garden. The Level 2 is ideal for those employed in the wine trade looking for a detailed and structured wine education with limited prior knowledge and will provide the knowledge necessary to progress to the WSET Level 3 Award in Wines. The Level 2 course is also a perfect option for wine enthusiasts wanting to further their knowledge in a structured way. For anyone looking to enter the wine industry, a WSET qualification is essential, whether it be in a front of house role in a restaurant or bar or in retail. You can start your wine journey at Level 2, no prior wine knowledge or qualifications are needed to join the course. If you have already studied the Level 1, the Level 2 course is the natural progression. For the full specification follow the link to open the WSET Level 2 Specification. Building on the Level 1, the focus is "Looking Behind the Label". It offers a broad understanding of the wine regions of the world, tasting technique and an introduction to the key styles of spirits. Holders of the award should be able to read a label from either wines or spirits and understand the basic style behind the label or put another way - when you are out at dinner, the wine list will make sense. How to taste wine like a professional. Understand the factors that influence a wine's style and price. Key grape varieties used in wines. Interpret key labelling terms to understand the style, flavour and method of production of still, sparkling and fortified wines. Interpret key labelling terms to understand the style, flavour and method of production of spirits and liqueurs. Systematic approach to wine tasting. Perfect for those employed in the wine industry or looking for their first role. Run over 3 consecutive Saturdays or Mondays. Full Student Pack, including text books and course books, provided. A one hour exam consisting of 50 multiple choice questions. A pass mark of 55% required. All courses can be booked directly with ThirtyFifty online (see forthcoming course dates below) or by calling us on 020 8288 0314. 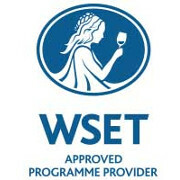 If you have already been on a WSET course with ThirtyFifty you can receive a 10% discount on subsequent WSET courses. If you are giving the WSET Level 2 Course as a gift, you can purchase an open dated gift voucher so that the recipient can book a date with us directly. We'll automatically email you a link to the gift voucher to print off at home. The WSET Level 2 Award in Wines & Spirits is a three day course running over 3 consecutive Saturdays or Mondays. It is perfect for those looking to develop a deeper understanding of the wines of the world. It is also the most common qualification that employers would look for, for those looking to enter or progress in the wine industry. All attendees will receive the full study pack including course books on the first day of the course. We run regular WSET courses in London and from time to time in other locations in the UK. Below are forthcoming courses. Where to after the WSET Level 2? The next step is normally the WSET Level 3 Award in Wines. While the Level 2 is not a prerequisite, you do need to demonstrate a deep understanding of wine to gain entry to the Level 3. The easiest way to do this is by having the Level 2 Award in Wines and Spirits. Dates for the Level 3 can be found on the Level 3 page. I wanted to thank you for your help in organising the Level 2 and Level 3 courses. Garry and Chris are great teachers and we really enjoyed the courses. I look forward to working with you again in the summer.